For over one hundred years, one of the Smithsonian Institution's most visited exhibitions has been a display of gowns worn by the First Ladies of the United States. An unofficial title, "first lady" has been in popular use since the 1860s to refer to the president's official hostess who is usually, but not always, the president's wife. Many people think of the first family as the United States' version of royalty who are expected to fulfill ambiguous and evolving ideals of how to act and look. New first ladies have often discovered that they will have to learn how to dress to belong in this national spotlight. If a first lady fails to achieve this elusive goal, she is vulnerable to the political consequences of media criticism; but when a first lady does succeed, she may popularize a fashion. While Americans want their first lady to look as if she represents an affluent and powerful country, citizens do not want her to look too regal-spending excessive amounts on high-fashion clothing. For example, in the early 1860s the southerner Mary Todd Lincoln was severely criticized for her extravagant fashions and entertainment as the nation dealt with the horrors of the Civil War. A hundred years later, Jacqueline Kennedy's love of expensive clothes, particularly French couture, became a political liability during the 1960 presidential campaign between her husband and Richard Nixon. To avoid these hazards, attractive Pat Nixon restrained herself from buying anything too special. The fur coats she purchased in the past did not support the public persona of a "good Republican woman in a cloth coat." Some presidents' wives have only slightly refined their wardrobe for their public role. For example, in 1998, self-assured Barbara Bush had no intention of becoming more concerned with her appearance while first lady; but she came to appreciate her American designers, Arnold Scaasi and Bill Blass. They transformed her into a glamorous grandmother who felt pretty even as she endured treatments for Graves disease. As the first president's wife to have been born after World War II, Hillary Rodham Clinton was part of a generation who paid more attention to their achievements than to their appearance. She eschewed the fashionable trappings of traditional "well-bred" ladies and focused on her education and professional career. Mrs. Clinton was first criticized for this lack of attention to her appearance and then judged for all the "fine tuning" she attempted, particularly changes in hairstyles. When a first lady's appearance is continually criticized, it seems more likely that she is being attacked because she acts different rather than just because she looks different. Never was this truer than for Mrs. Clinton-a lawyer, a public servant, and a new kind of first lady. 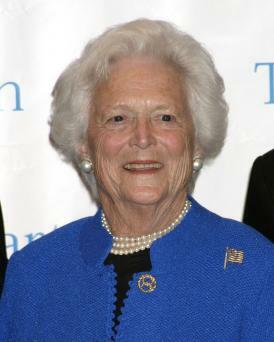 Although a successfully dressed first lady is not a fashion innovator, a favorite color-Mamie (Eisenhower) pink-or accessory-Barbara Bush's three-strand imitation pearl necklace-or even a single dress style could become more popular because of her well-publicized role in the White House. In 1993, Mrs. Clinton wore to her first official White House event a Donna Karan turtleneck, long-sleeved, long black dress with cutouts that bared her shoulders. This glamorous dress was not a new style; it had already been seen on celebrities such as Liza Minnelli and Candice Bergen. Nevertheless, within a week of Mrs. Clinton's stunning appearance, manufacturers copied it by the thousands for the mass market. Dolley Madison and Jacqueline Kennedy were two first ladies who popularized more than a dress style. They each embodied a unique way of dressing that influenced women in their own time. In the early nineteenth century, Dolley Madison's love of French fashions and elegant furnishings encouraged conservative American women to more fully embrace the latest foreign fashions. The popularity of the lively Mrs. Madison blunted the effect of the critics who accused her of aristocratic behavior unsuitable for the first lady of a republic. In contrast, two months before the election in 1960, Jacqueline Kennedy was directed by her husband's advisers to stop buying French couture. Taking into account the best of French fashions, she crafted a simple, youthful, made-in-America glamour. She exemplified a new, and soon-to-become classic, American look. In the early twentieth century, the Smithsonian Institution, along with other museums presenting American history, celebrated the accomplishments of notable people, most of whom were important white men. Intended as a way to educate the public in the values of hard work and good citizenship, the focus was on traditional masculine achievements. As Edith Mayo, curator emeritus First Ladies Collection, reported in her 1996 publication, The Smithsonian Book of the First Ladies, a volunteer supporter of the Smithsonian, Mrs. Cassie Myers James "introduced the idea of women as historical role models by building a collection of clothing that showed 'the fashions of the women of the United States from colonial times … and their sphere in home life'" (p. 279). The inspiration to acquire and exhibit dresses of the first ladies came about when a descendant of President James Monroe, Mrs. Rose Gouverneur Hoes, was invited to contribute to the collection. In 1912 the success of this effort was assured when Mrs. William Howard Taft, the current first lady, and descendants of five other presidents, promised gowns for the collection. By 1915 the display of dresses in rows of cases was called "Historical Costumes, Including those of the Mistresses of the White House." These collections and the exhibition were radical innovations. For the first time, women were made visible in the nation's museum, creating a precedent for future collections about women. 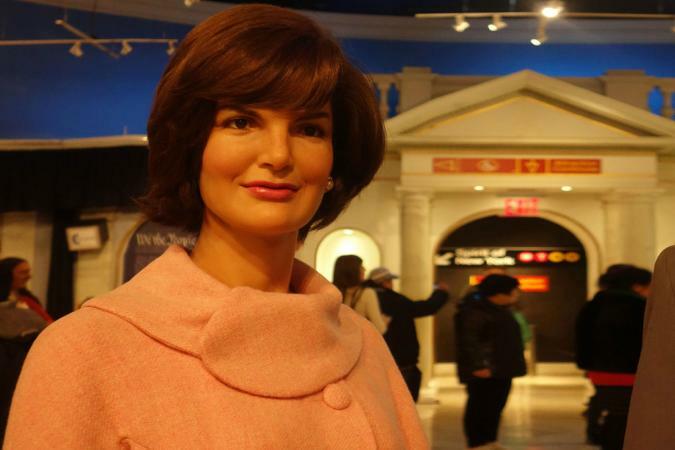 Over time, the Smithsonian's presentation of the first ladies has changed. In the 1950s the dressed mannequins were reinstalled in elaborate room settings resembling public spaces in the White House during different periods. In March 1992 a new exhibition, "First Ladies: Political Role and Public Image" opened. In a break with tradition, the first ladies are rein-terpreted as historical agents in their own right within the context of the American presidency and the history of women in America. The continued popularity of the Smithsonian's First Ladies Hall demonstrates both the American fascination with first ladies and the power of dress to evoke the personality and life experiences of the wearers. See also Bill Blass; Celebrities; Fashion Icons. Mayo, Edith, ed. 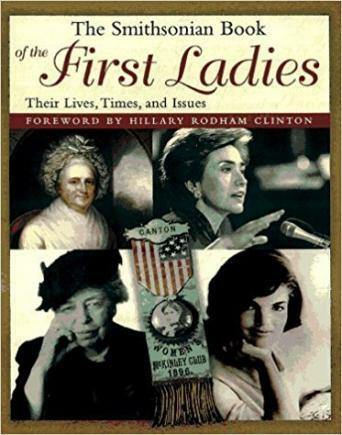 The Smithsonian Book of the First Ladies: Their Lives, Times, and Issues. New York: Henry Holt, 1996.